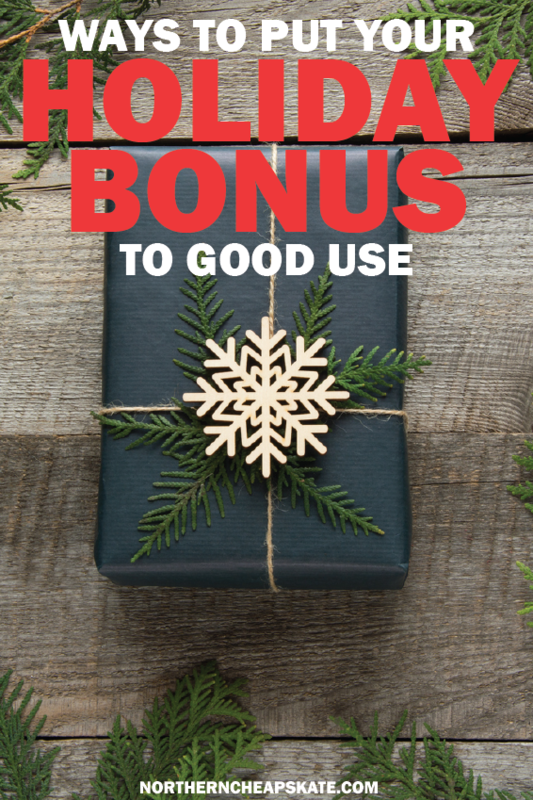 If you are fortunate enough to receive an end of the year bonus that is greater than the jelly of the month club (the “gift that keeps on giving” according to Cousin Eddie in National Lampoon’s Christmas Vacation), it is time to start thinking about what to do with it. Do you buy that new 4K UHD TV you have been wanting? Take your wife to the Bruno Mars concert? The short answer is, it depends. Each have a different financial situation, so as long as you will not get into debt, I am all for it. Saving money is extremely important, but sometimes it is good to reward yourself. Maybe you can try rewarding and investing in yourself and your family’s financial future and not blow the money. Experts have long said that you should have three to six months’ worth of expenses available in a savings account in case of an emergency. If you are worried about job security, it is probably a good idea to build six months to give a cushion in case of unexpected job loss. If you are at least able to pull a few months’ worth, it will cover at least not having to use a credit card to put sudden costly repairs such as appliances or auto. If you are not able to afford a catastrophe if it happened today, then priorities should be shifted to build an emergency fund first before spending in other areas. If you have some savings built up and are already contributing to a 401(k) account (make sure you are at least contributing to the max that your employer will match), you can look to open an IRA that you are able to contribute up to $5,500 for 2016 and 2017 that will grow and compound over time. A Roth IRA you can pay taxes on the money going in now, instead of when you are ready to withdraw in retirement, compared to a Traditional IRA where you contribute and pay taxes down the road as income when taking withdrawals. Saving money is important, don’t get me wrong, but if you are in a good financial position with limited debt and adequate savings, then using your bonus for a much-needed vacation is completely acceptable. I have always believed in the importance of life experiences, but ignoring spending limits will only lead to a mountain of debt that I unfortunately learned the hard way and took many years to finally pay off. Now that I have learned from my past mistakes, I am a little more selective these days in planned vacations, so if you are looking to big your next adventure, have a be somewhere that you have always wanted to go, have never been, and will probably never visit again. Having money in the bank is great, but there is a line between enjoying life and missing out. There is a lot of talk in this article about taking care of your financial future, but as you already know, this is the time of year when it feels good to donate to those less fortunate, so whether it is a family in need at church, or your favorite charity, a donation can go a long way. My wife has really gotten our family involved in recent years, so we have really made it a point to donate. Since money is on your mind, keep track of donations, as they are tax-deductible. Hey, it helps reduce taxes paid. Having this new-found money can easily tempt even the most frugal to see how quick you can burn through the cash. Some of the worst ways you can waste away the money on would be to try your luck at the casino, splurge on a completely new wardrobe, buy a brand-new car, or even treat as cash and blow it on the night on the town at bars and restaurants (the latter I have been guilty of in the past). Even if you are disciplined enough to save the bonus check, putting in your bank account to sit may not be the best idea either, especially if you have already built up an emergency fund, as they money will not grow at all in a low interest checking or savings account. Instead, consider opening a brokerage account or IRA that will give a more beneficial yield than a savings account. 404 error came up when I clicked “Subscrbe” to newsletter. Thanks for the heads up! Since purchasing the site we haven’t established a new newsletter mailing list, which I should probably start up now.